Kathie shares fundraising tips and other wisdom gleaned from 15 years of frontline fundraising experience. Here's to your success in fundraising for your mission! Kathie Kramer Ryan presents "5 Steps to Prepare for Your Next Major Donor Ask Visit," one of 3 speakers at the April 2014 Association of Fundraising Professionals (AFP) Colorado Chapter educational program luncheon. Kathie Kramer Ryan shares Tips for Nonprofit Fundraisers. 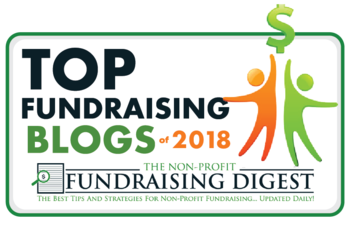 Here, Kathie explains 2 critical mistakes that fundraisers often make when meeting with donors and, more important, how to avoid these mistakes and ultimately raise more money. For more, see Kathie's post, Major Gift Fundraising - Are You Making These 3 Critical Mistakes? Kathie Kramer Ryan shares tips for nonprofit fundraisers. Here she explains what it means to be donor-centered and outlines ways to do this at your nonprofit organization. For more, including how to set specific and measurable donor-centered fundraising goals, read 3 Rules for a Donor-Centered New Year's Resolution. Kathie Kramer Ryan explains one mistake that fundraisers make when meeting with major donors and the 3 simple steps you can take to be sure you are best prepared for your next major donor meeting. For more, see Kathie's post, Major Gift Fundraising - Are You Making These 3 Critical Mistakes?